12:pm – Registration opens. Those attending Friday 1 pm hike must check in between 12:00 and 12:30. Registration closes at 1 pm, reopens 5 pm to 7 pm. Even if you have been to see the famous structures at Flowerpot Island you will want to take the opportunity to see an “inland” flowerpot at Devil’s monument. Obviously carved out when water levels in the area were much different from today’s relatively exposed terra, this flowerpot sits a startling distance from the water’s edge. 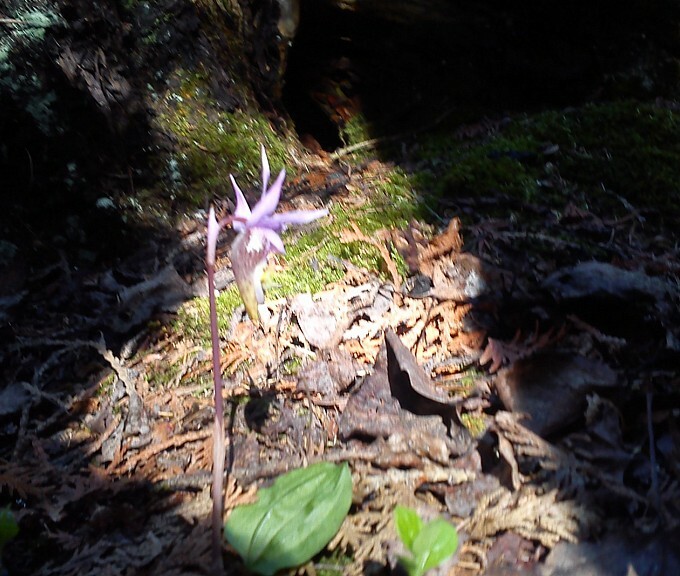 Found along a section of the famous Bruce Trail and within a stunning forest locale featuring many hardwoods, this is a spring walk most locals take yearly as the seas of trilliums are breathtaking. With any luck, you might even get to nibble on some wild leeks! Dawn –a) Photography workshop. Ask an expert and take your photography skills to the next level utilizing the special early morning light. b) Bird spotting and morning chorus. Let the birds serenade you into the day while you look about to see who is doing the singing. Possible Owl calling opportunity. You must be physically registered on Friday to participate in these events. Meeting time and place TBA. Those registered will receive an e-mail with these details closer to the event. Whether this is your first Orchid Festival or your 10th, it is always a good idea to go along on a car caravan to take stock of the season’s bounty. Some years bring us remarkable numbers of blooms, and some a rather worrying few. 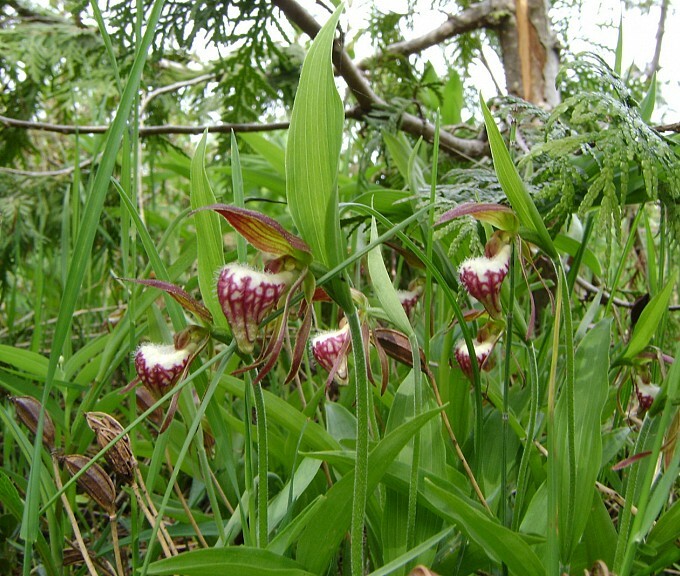 But each year something interesting is sure to present itself and our specially-trained friends at Parks Canada will be ready and able to show you all the floral features of the area and answer your questions. All car caravans cover the same locations so you likely will only want to attend one. Once the most sought-after secret hike on our festival weekend, we open this adventure to a larger number of participants so that the rarities of this location can be experienced more widely. 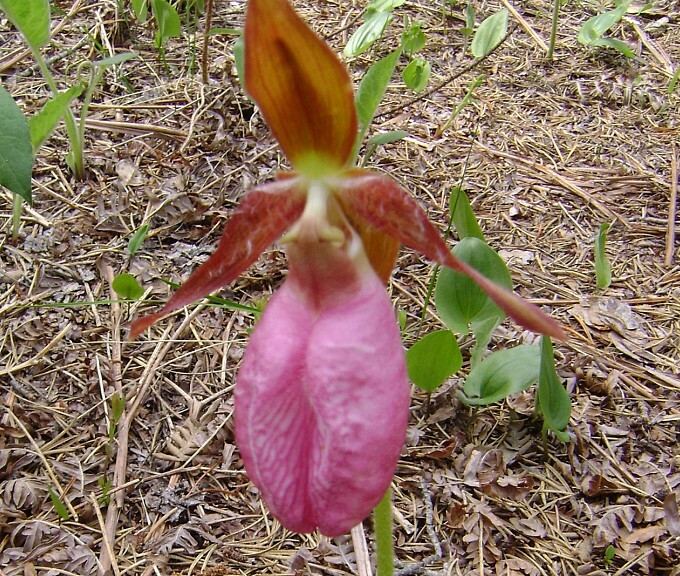 Home to the globally scarce lakeside daisy and the anomalous white dwarf lake iris, we also find the aptly named pink lady’s slipper at the far reach of this pleasant walk. Several proud stands of ram’s head orchids line the route defying detection by both their diminutive stature but also by their amazing ability to blend into their environment. It is certainly an outing for sharp eyes. This walk often surprises a basking rattlesnake or two. Boots recommended. Am 4) Turtle tracking event. Visit the sites of the Parks Canada turtle tracking initiative and see what is going on with the program and assist in some structure management. Learn how turtles are affected by climate change and what their numbers tell us about our environment. Spot some nest sites and hopefully, some local turtle characters. Whether this is your first Orchid Festival or your 10th, it is always a good idea to go along on a car caravan to take stock of the season’s bounty. Some years bring us remarkable numbers of blooms, and some a rather worrying few. But each year something interesting is sure to present itself and our confirmation to follow specially-trained friends at Parks Canada will be ready and able to show you all the floral features of the area and answer your questions. All car caravans cover the same locations so you likely will only want to attend one. Once the most sought-after secret hike on our festival weekend, we open this adventure to a larger number of participants so that the rarities of this location can be experienced more widely. 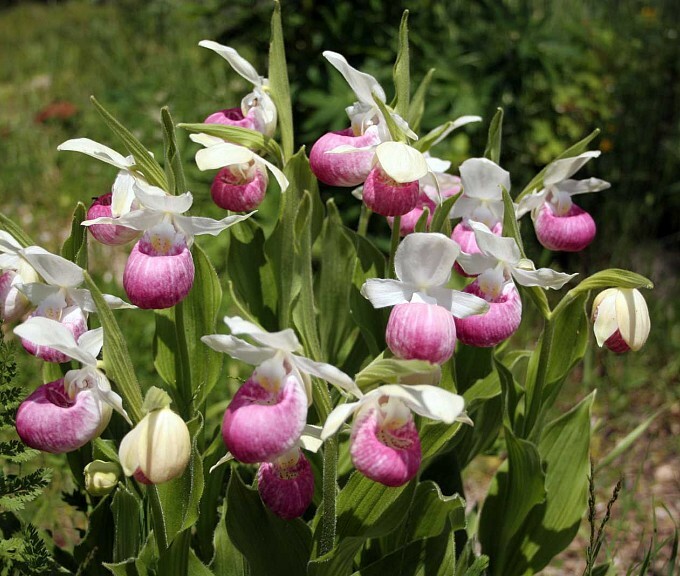 Home to the globally rare lakeside daisy and the anomalous white dwarf lake iris, we also find the aptly named pink lady’s slipper at the far reach of this pleasant walk. Several proud stands of ram’s head orchids line the route defying detection by both their diminutive stature but also by their amazing ability to blend into their environment. It is certainly an outing for sharp eyes. This walk often surprises a basking rattlesnake or two. Boots recommended. Join us in exploring the secrets of a new location for our festival. Cover terrain ranging from Alvars, a small inland lake, mixed forest, and a young managed tree plantation. 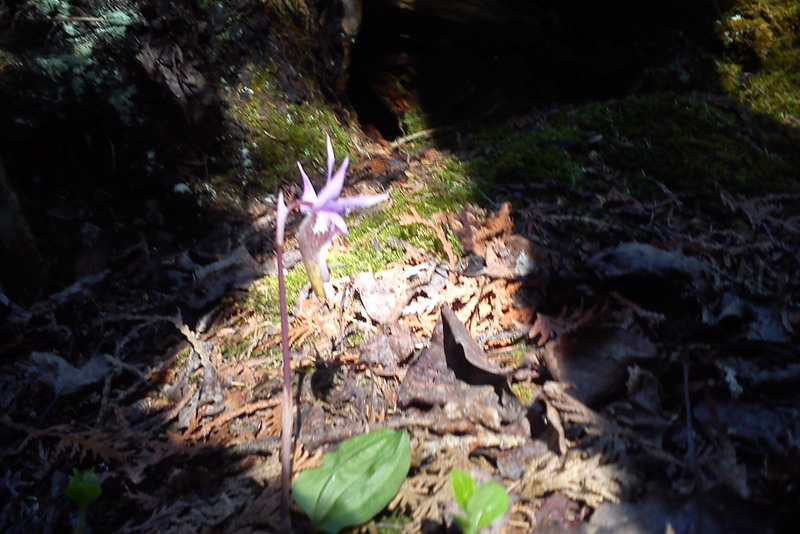 Follow a local into the woods and see what’s popping up. This seldom-visited area often boasts wildlife that prefer to stay away from the crowds on the busier trails. As delicate and beautiful as rainbows and just as fleeting, our orchids dazzle in full flower for only a very brief time. The moment their reproductive mission has been achieved their flowers begin to fade and droop, their pollinators no longer needing the bright signals to bring them in. Just as delicate watercolour paints are one of the best mediums to capture the almost transparent qualities of some of the orchid species on the peninsula. 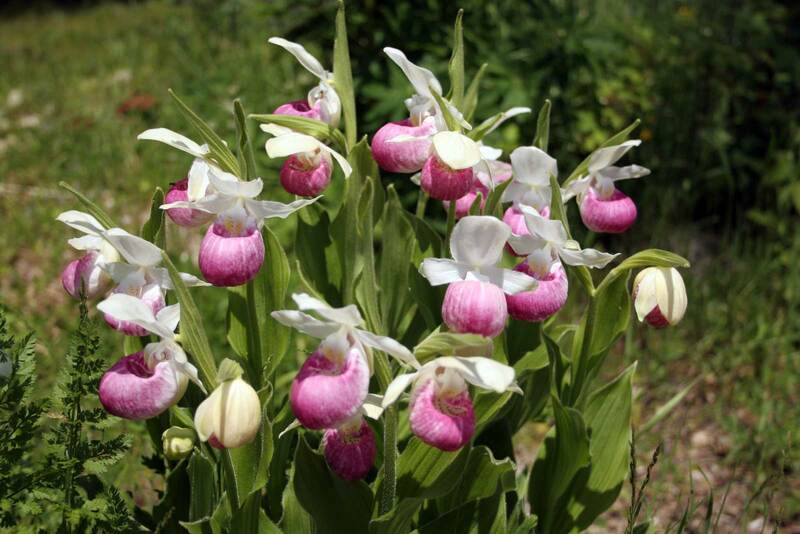 Learn technique and composition from locally renowned artist Julie Heinrichs and develop a fuller understanding of the details and intricacies of local orchids while discovering your own inner artist. 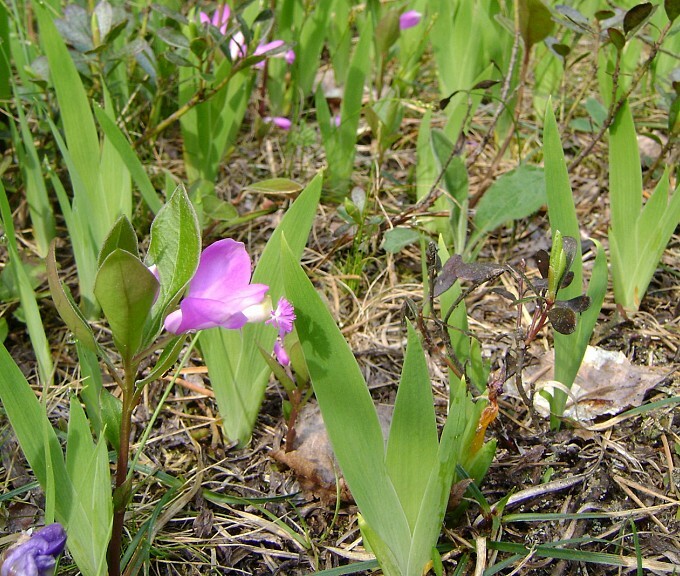 A native of Niagara Falls, Ontario, Dan Doucette works in horticulture in the summer to fund a life of wild orchid hunting in wintertime in tropical and exotic places. 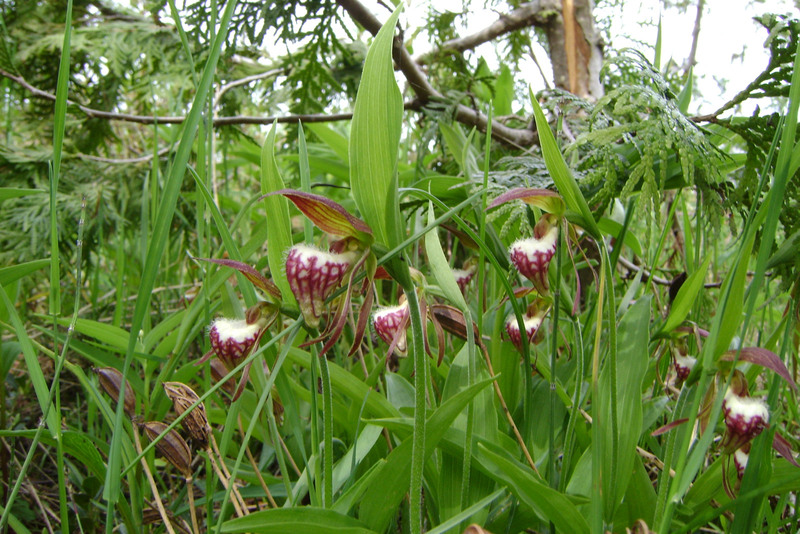 Dan has been a return guest to our very own Orchid Festival here on the Bruce Peninsula and brings us tales of the orchid hunt in faraway places. Dan has traveled to Australia, Peru, Belize, Honduras, Argentina, Guyana, Ghana, Cameroon, Gabon Kenya, Uganda, DR Congo, Rwanda, Tanzania, Madagascar, South Africa, Swaziland, India, The Philippines, China, Myanmar, Laos, Vietnam, Cambodia, Thailand, Malaysia, Indonesia, Singapore, Brunei and the Netherlands. Dawn – morning chorus, bird spotting, and possible Great Horned Owl calling. Short tour – to light station and back with a tour at the station and viewing of Calypso and coral roots near caves and flowerpot photo ops. Returning on a boat approx. 3 hours from 1st boat.